_Viernes 16 de marzo, 19.30h, Centro Cultural Doctor Madrazo, Santander, España. Como parte de las actividades del programa de residencias de Orbital_Febrero/Marzo 2018 os invitamos a la charla/presentación que nuestra artista en residencia Bárbara Palomino hará sobre su trabajo. La artista comentará además sobre el proyecto que está desarrollando en el contexto del programa. La participación de Bárbara Palomino en Orbital Residency tiene lugar en colaboración con el espacio Studio das weisse haus, Viena, Austria. _ Friday 16th March, 7.30pm. Centro Cultural Doctor Madrazo. 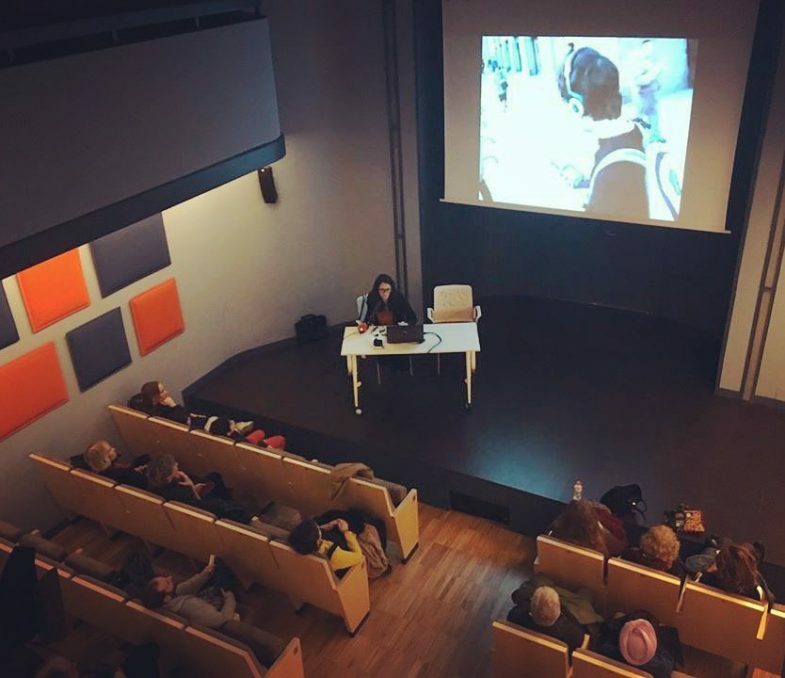 Please join us for the presentation/talk our artist in residence Bárbara Palomino will give about her work and also the projects she is carrying out during Orbital’s February/March 2018 programme. Bárbara Palomino Ruiz (São Paulo, Brazil, 1982) is a visual artist whose work focuses on mixed and multimedia creations, with a particular concentration on textiles and the relationship between old and new technologies. 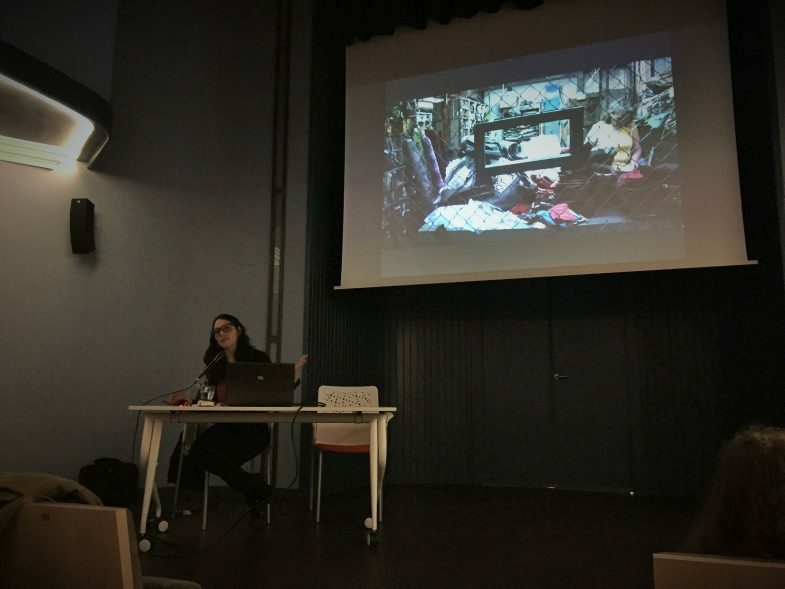 Following her interest in textile and digital narratives and technological heritage she has also reached an artistic research about social productions of memory, affective cartographies, fictional aspects in documenting “reality” as well as in ethnographic narratives and “invented traditions”. Her work usually involves “translations” to different media and repetitive manual operations, to create serialized patterns or to bring a prefabricated material back to its most elementary primary state. Bárbara Palomino Ruiz holds a postgraduate diploma from the art and audiovisual research center Le Fresnoy Studio National des Arts Contemporains, France (2013-2015), and a MA in Visual Arts (2001-2004) with an emphasis on Textile Arts from the University of Chile. Her work is part of national and international art collections and has been exhibited at renowned venues such as Medienwerkstatt Wien (Austria), Pallazo Mora (Italy), Le Cube (France), Fact Liverpool (England), Galería Gabriela Mistral (Chile), Museo Nacional de Bellas Artes de Santiago (Chile), among others. She currently lives and works in Vienna, Austria, where she was granted in 2017 a studio by Das weisse haus, where she continue developing her work. Residence in collaboration with Studio das weisse haus, Vienna, Austria.